Approx. 35" x 35". 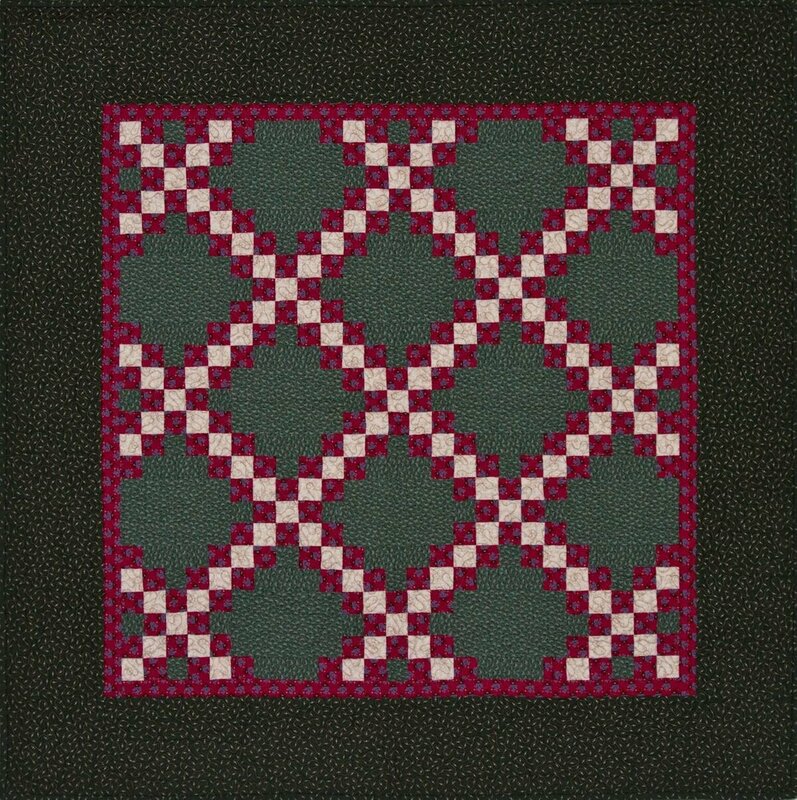 A traditional Irish Chain quilt made with red and green fabric from Bristle Creek Farmhouse. Kit includes fabric for quilt top, backing, binding and pattern.